Most of our family really enjoys pancakes (Miss S asks for them at breakfast a LOT). I wanted to try something different than my standard buttermilk pancake so I play around with my pancake recipes and some fresh blueberries. In a large mixing bowl, whisk together the oats, flour, soda, salt, and sugar. In a 4 cup measuring cup, combine buttermilk (or milk + vinegar), applesauce, eggs, and vanilla. Add wet ingredients to dry ingredients and stir until well combined. 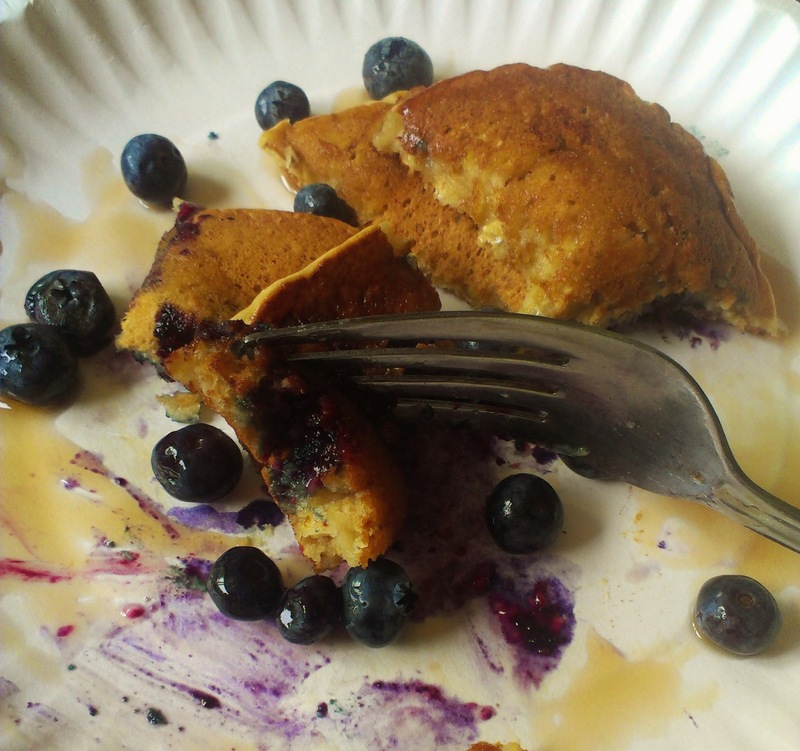 Add fresh blueberries and give the batter a quick stir. 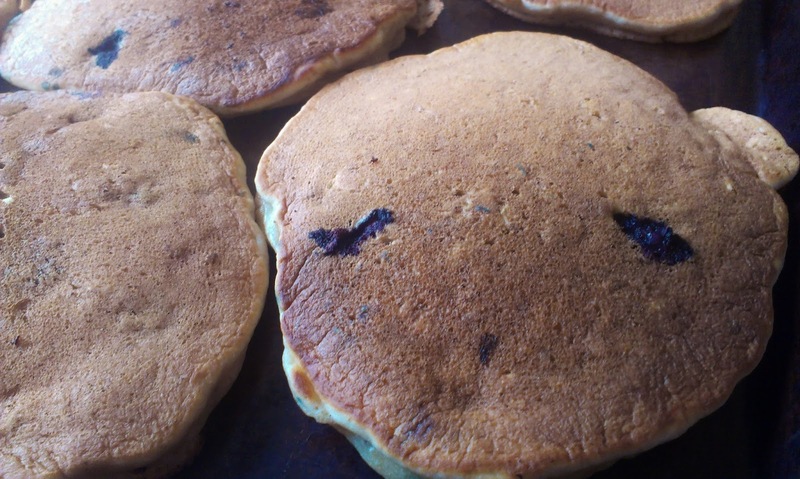 Place pancakes on a baking sheet to cool. Once pancakes have cooled, place them (pan and all) in the freezer. Stick frozen pancakes in a gallon size freezer bag. Preheat oven or toaster oven to 350 degrees. Line a baking sheet with parchment paper. Place the desired number of pancakes on the baking sheet and cover with foil. Bake for 10-15 minutes or until they are heated through. Stack pancakes on a microwave safe plate and heat on high for 1 1/2 – 2 minutes or until the pancakes are heated through.